Late last year, Parley Australia ventured to the remote northern fringes of the Great Barrier Reef to explore how plastic pollution is impacting the region. In a protected area that many think of as a remote and unspoiled marine paradise, what they found was worrying: high levels of plastic debris and microplastics in an ecosystem where corals spawn and turtles nest. 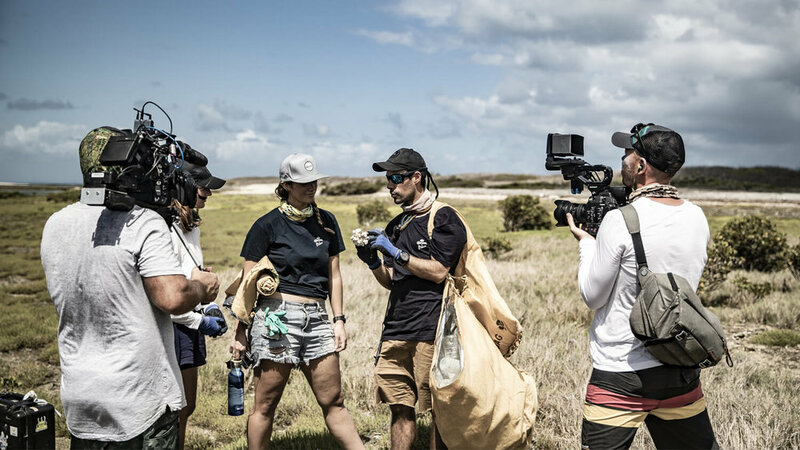 Accompanied by a National Geographic film crew, the team intercepted 634kg of waste, collected data and audited plastic on beaches and the open ocean. Each search revealed shocking amounts of waste – some coming from the ocean currents but other items originating in Australia itself. It is also thought that bottles may be linked to illegal disposal from cargo ships in the marine park. ﻿Corona and Parley have joined forces with National Geographic as part of our 100 Islands Protected initiative, to showcase how the global marine plastic pollution issue is affecting some of the planet’s most important marine ecosystems. Cyrill Gutsch, Founder of Parley for the Oceans, explains that: "Corona is our ally in fighting plastic pollution on beaches and driving change in the beverage industry. Our mutual vision is to leave plastic behind us, to make it a relic of a toxic past. Working in remote areas of Australia shows that even in the most pristine places, even where you would only expect untouched wilderness, you will find dramatic signs of our poor choices. Plastic is a design failure, it's not ready for a circular economy — and its replacement is overdue. We need to let this faulty material go as fast as we can to safeguard our future." The first episode of ‘Protecting Paradise’ provides an in-depth view of the global plastic pollution epidemic hitting Australia’s Far North Queensland and acts as a reminder for why Australians – and every one of us – must urgently take action to reduce their single use consumption. You can start by taking the Parley AIR Pledge and sharing your commitment online.